The post-election property market: how will investors be affected? 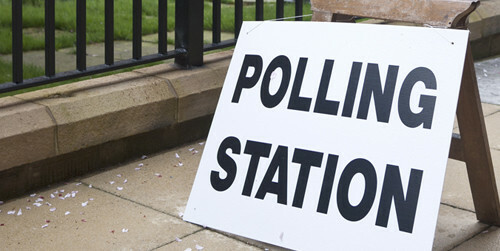 Regardless of your political persuasion, there’s no denying that investors have been waiting with baited breath to find out how the outcome of the recent General Election is to affect the UK property sector. Now that the Conservatives have confirmed a majority, the focus will turn to how David Cameron and his newly-elected cabinet ministers intend to deliver on their pre-election pledges. Here, we’ve outlined the key ways in which the government intends to support and develop the country’s property market. Much has been said about the way in which the new government is to handle the UK’s current housing crisis. Like most of the major parties, the Conservatives have recognised the value in investing in new developments and are setting out to build 200,000 new homes for first-time buyers and 275,000 affordable homes in the next five years. On top of this, there are plans to place £1billion worth of funding into brownfield regeneration schemes to better utilise old commercial or industrial sites. Delivering these targets will be a huge challenge for Cameron, due in part to ever-increasing development costs, a shortage of skilled workers and a plethora of bureaucratic red tape surrounding planning processes. The only silver lining in this predicament is that investors will enjoy continuing price rises in the short-term as properties remain in high demand. In what was considered a ‘landmark’ election promise, Cameron plans to cut inheritance tax and allow parents to pass on property worth up to £1million to dependants without receiving a bill. Previously, children and grandchildren would have had to pay an inheritance tax bill of £140,000 on a property of this value. The hotly-debated Right to Buy policy is set to be extended to allow 1.3 million housing association tenants the opportunity to buy their homes outright. The introduction of the Help to Buy ISA will also lend a helping hand to those struggling to get onto the property ladder, with the promise of a 25% handout from the government if savers pay up to £200 into their account every month. It’s not just the younger generations who are set to benefit from the Conservatives’ manifesto, though – Chancellor George Osborne’s Spring Budget outlined pension reforms that would allow those of retirement age to invest in property later in life and secure an investment for their dependants’ future. London shows no signs of slowing down in terms of attracting international investors, but the government has notably shifted its focus to developing up-and-coming regions elsewhere in the UK. As we previously reported, Manchester is fast becoming the nation’s Northern Powerhouse, with the Conservatives expected to set £7billion aside in the coming years to develop the region’s economy. This will in turn contribute to higher demand for property and have a highly positive effect on property prices. Investors are being advised to look to these new pockets of development, particularly Manchester and in the towns and cities affected by the new Crossrail development, for impressive capital growth. There’s no guarantee that all of the Conservatives’ pledges will be actioned, but as it currently stands, property investors both at home and overseas can approach the market with confidence; enjoy a stable, transparent political climate; and look forward to the prospect of further growth and development.